EVANSTON, IL — Downtown Evanston’s Cinemark cinema has not retrofitted its theaters with supersized Lazyboy-style recliners and in-theater “dining experiences” — honestly, it’s just a movie theater, ideal for the Bolshoi in Cinema series, which brings performances by the legendary Russian ballet company to your neighborhood movie house. As I walked into the theater, I was hopeful, actually, that I’d be viewing “La Sylphide” in a more traditional space — I had a hard time imagining what it would feel like to watch the ballet from a horizontal position. Going to the movies is a rare treat for me, so I jumped at the chance to watch the Bolshoi perform “La Sylphide,” while sipping hot chocolate and chomping on movie theater popcorn on a Sunday afternoon. Before these live streamed performances, the Bolshoi hosts a backstage chat in English, Russian and French, offering some context about the ballet as the dancers warm-up behind a commentator. Intermission is kind of fun too, with backstage interviews, a view of the technical crew changing over the stage, and a lobby feed of the Bolshoi Theater, where I witnessed patrons taking selfies with each other. It feels like a strange mix of voyeurism and inclusion, like you’re hoping if you wave at the screen the selfie-takers might wave back. The original “La Sylphide,” choreographed in 1832 by Filippo Tagloni as a show piece for his daughter, Marie, is a gem of romanticism, the first ballet to use pointe work to evoke images of nymph-like sylphs floating above the stage. So to see this ballet is a rarity, particularly in this country, and the Bolshoi’s production is simply stunning. Unique to the cinema series is an intimate view of the stage, with camera angles so close you can see sweat beading on the brows of the dancers. Anastasia Stashkevich as the Sylph, and Semyon Chudin as James are simply perfect, seemingly aware that they’re being watched from inches away. The thing is, “La Sylphide” is a romantic story ballet, to be sure, asking the dancers to portray deeply emotional dancing. The steps and miming contribute directly to the tale — this one is about a man who ditches his fiancée, Effie, danced by Xenia Zhiganshina, on their wedding day to follow a beautiful fairy into the woods, only to end up alone in the end — but “La Sylphide” also offers a primer on Bournonville technique, an unforgiving method that requires strength, precision, and above all, ballon, or the appearance of weightlessness in jumping movements. 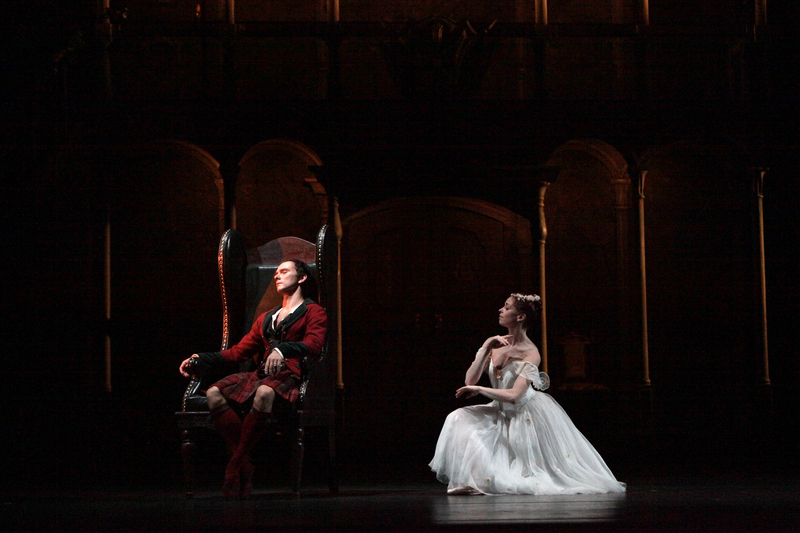 Unlike the classical ballets which came some 60 years later, “La Sylphide” isn’t showy. There’s no grand pas de deux, or show-stopping variations. The character dances are group social dances at James and Effie’s wedding; solos are understated, yet magnificent to those in the know. And to be lucky enough to have a view of this ballet so close I can see whether or not their fifths close each time, well, that alone is worth the price of admission. The Bolshoi in Cinema series continues with Alexei Fadeyechev’s staging of “Don Quixote” on December 2.